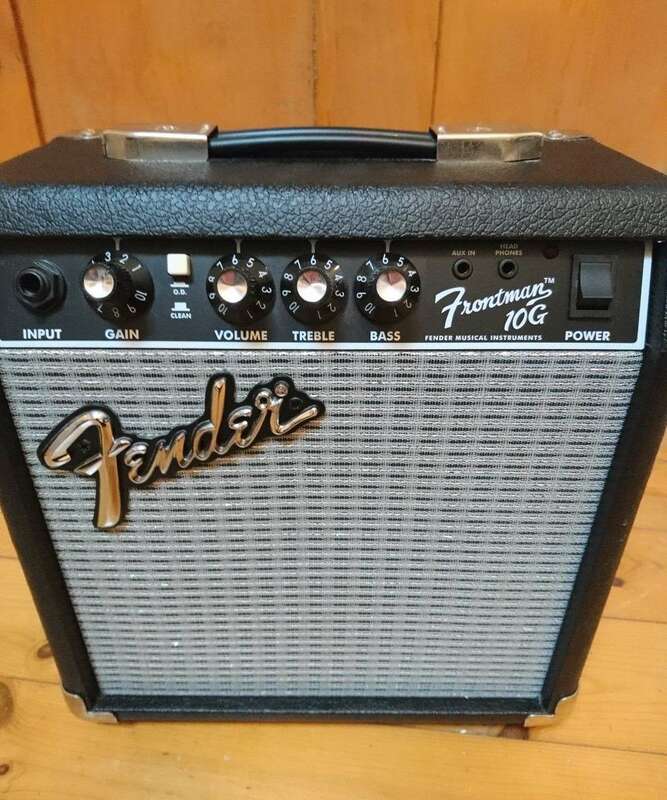 Anyone looking for a low priced, small guitar practice amp? Well your search is over. 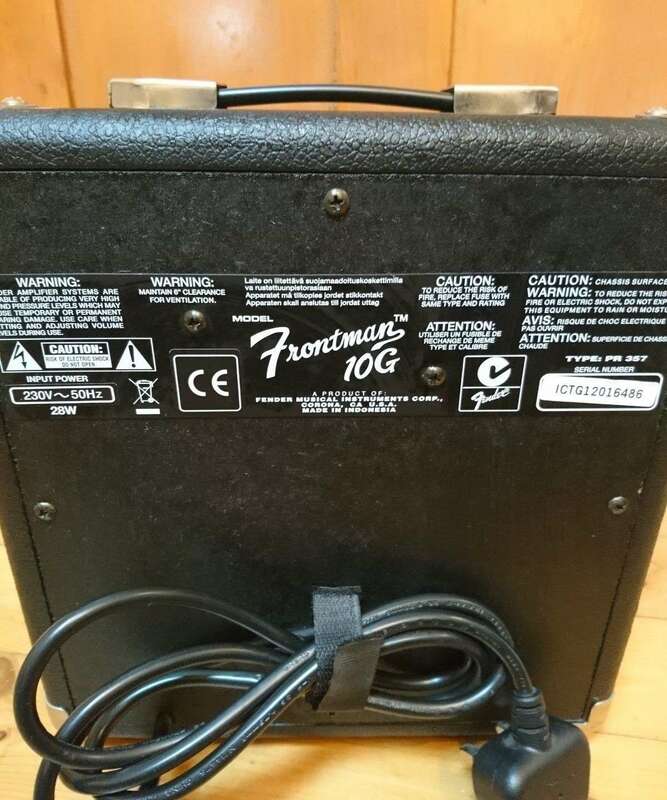 The recent price drop on the Fender Frontman 10G puts this in a class of its own. OK, so you don't get any built in FX or different amp tones, but you do get the basics & the amp is reliable. Plus it says Fender on the front & won't put a big dent in your wallet! Frontman amps deliver quality tone at a great price, with custom-voiced built-in overdrive for great tone and the unmistakable Fender Blackface look. The 10-watt Frontman 10G features a 6” Special Design speaker and a adjustable gain control that rocks guitar tones from tube-emulated overdrive to full-strength ultra-saturated distortion - perfect for blues, metal and the famous Fender clean tone. Closed-back design gives a heavier bass response, 1/8” input lets you play along with media players, and 1/8” headphone output is great for silent practice. Unique Features: 1/4" Instrument Input, 2-Band EQ, 1/8" Auxiliary Input Jack for Jam-Along with Media Player or CD, 1/8" Headphone Output Jack for Silent Practice, Closed-Back Design for Heavier Bass Response.